Within the borders of Texas, Wiley College is about as far as you can get from Donna. On the map, Wiley is nearly 600 miles away — about a nine-hour drive to the Piney Woods city of Marshall in East Texas. The NAIA school is a private, historically black university that doesn’t have a football program and is just minutes from Louisiana’s swamplands. 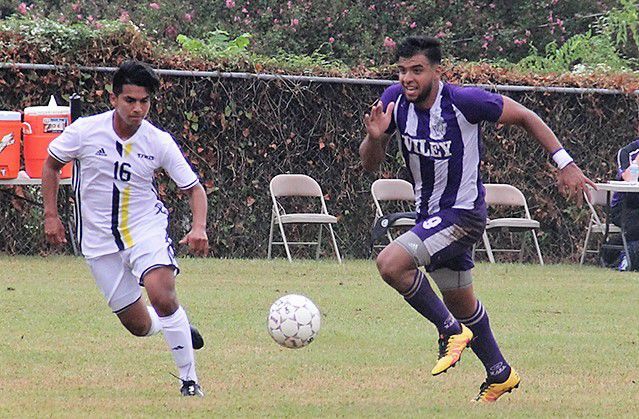 But the differences that exist between Donna and the 1,400-student Wiley campus did not deter former Donna High star soccer player Jonathan Palomo from taking a leap of faith. He turned in the palm leaves for pine needles and accepted a full scholarship offer to play collegiate soccer in 2013. A senior midfielder who has an absolute love for the game, Palomo has found a welcoming community, a supportive head coach, a team full of Rio Grande Valley players and tacos that taste just like they do in the Valley – maybe. “There’s nothing like back home, but there is a place called La Mexicana that is almost like the tacos in the Valley,” said Palomo. The 6-foot-1, 180-pound Palomo leads a contingent of 12 RGV players (on a 22-man roster) into the 2017-18 season, in which Wiley is 1-1 so far. 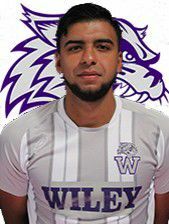 Palomo starred in a win over Texas Wesleyan on Aug. 27, scoring Wiley’s only goal of the match, and so far, the only one this season. The Donna alum has not been a big goal scorer during his career at Wiley, but he said he feels comfortable in the midfield directing the team’s offense. 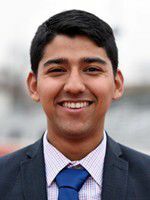 The 22-year-old Palomo has started 17 games in three seasons (he played in 2013, 2014 and 2016, taking a redshirt in 2015) at Wiley and is majoring in business management. During Palomo’s stint at Wiley, the talented Wildcats have finished near the top of conference table every year. In the past two seasons, the team has advanced to the Red River Conference tournament championship, winning it all in 2015. Wiley is coached by Reynosa native Demetrio Hernandez and players form Donna, McAllen High, La Joya Juarez-Lincoln, Harlingen High and other Valley schools dot the roster. Texas State University senior Jose Angel Gonzalez started his final year in San Marcos on the right foot last Saturday with a ninth-place finish at the Baylor Bear Twilight cross country meet in Waco. The Sharyland graduate posted an 18:30.2 time in the 6K race (3.73 miles), ranking fourth on the Bobcats’ squad. Last year, Gonzalez garnered second-team all-conference honors from the Division I Sun Belt Conference. The construction science and management major finished ninth at the conference cross-country meet and placed 56th out of 143 runners at the NCAA South Central Region Championships. Predicted to finish third in conference, the Bobcats have just three meets before the league championship on Oct. 28. Gonzalez also runs track for Texas State and last spring posted five top-10 finishes in distance races. Former McAllen Memorial linebacker Sam Hinojosa is making some noise at Division III Trinity University in San Antonio. The 6-foot-3, 214-pound sophomore saw action in six games for the Tigers last season as a freshman, but notched just two tackles. After just one game this season, Hinojosa has already topped last year’s total. Against the University of Redlands last Saturday, the former Mustangs all-state honorable mention linebacker picked up three tackles. The Trinity Tigers play in the Southern Collegiate Athletic Conference with teams such as Texas Lutheran and Southwestern University. In 2016, Hinojosa earned a spot on the SCAC Academic Honor Roll. Sharyland Pioneer’s Stephanie Barrientos, a sophomore at Division III Texas Lutheran University in Seguin, is splitting time at goalkeeper for the Bulldogs (0-1) so far this year. In her start, the 5-foot-6 Barrientos allowed two goals but also made seven saves. Last year, Barrientos, an athletic training major, was named to the SCAC Academic Honor Roll while playing in five games, allowing just four goals and making 25 saves. The former all-area and all-state high school selection and her Texas Lutheran team have a 16-game schedule this fall, including a match at UTRGV on Sept. 30 in Edinburg. TLU carries four RGV players on its roster.